A week or so ago I posted that the kiosk on Clifton Hill between Tim Hortons and Boston Pizza had been removed. Well, a new one has been put in its place. There was a kiosk on Clifton Hill between Tim Hortons and Boston Pizza. It was removed this week. 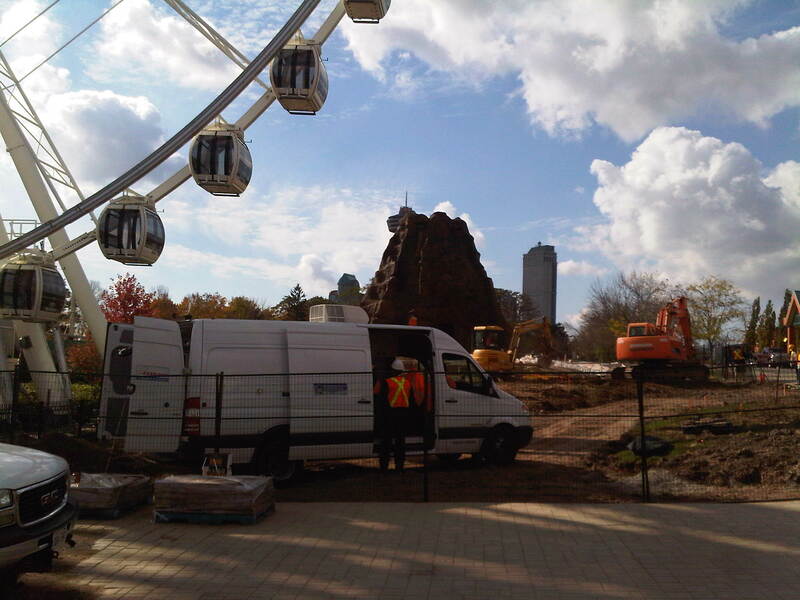 For the longest time, the only work that was happening at the future site of Dinosaur park Adventure Golf (behind Niagara SkyWheel on Clifton Hill) was on the big volcano. The only other work I saw was that they started to pour concrete for the holes. As indicated previously, I was on vacation for a while, and didn’t make it to Niagara Falls the whole time. Well, I can’t believe how much has been done. Wow! It looks like almost all of the holes have been poured. They’ve also taken out the grassy area and the trees/plants and dug it al up. There is now fencing that goes almost all the way to the back of Canada Trading Company/Tim Hortons. The sign for Dinosaur Park that was in the courtyard area is also gone. Even though the winter storms have started to blow across North America, believe it or not that now is a great time to visit Niagara Falls. Ideally you’d want to drop by one of the nation’s biggest tourist traps during warmer weather, but if you’ve already been during the tourist season, then you’ll discover a new side of the place when things chill out a little bit. The Falls are obviously still doing their waterfall thing, but the Winter Festival of Lights helps transform the area into Canada’s largest lights festival. Grab a cup of coffee from Tim Horton’s—there’s a huge one right on Clifton Hill—and head down to where the water is flowing. The falls are illuminated in rainbow colors for the holidays, and on certain nights, they even shoot some fireworks to close out the evening. 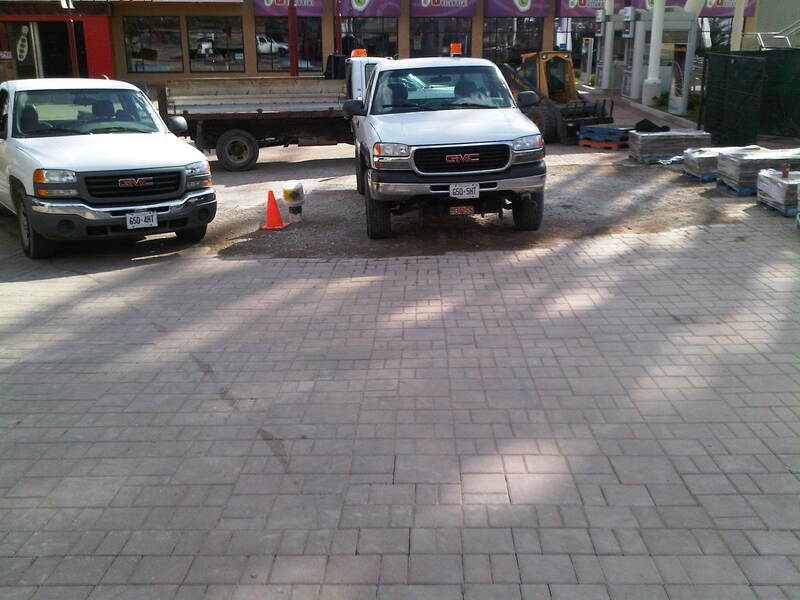 The old Niagara Marketplace on Clifton Hill used to have several parking spaces out front. 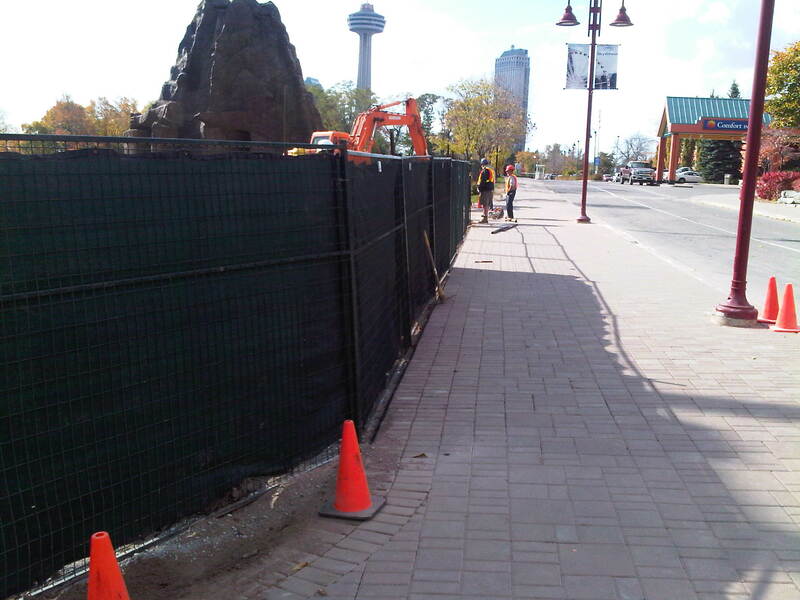 When that building was torn down and the new Tim Hortons/Canada Trading Company/Galaxy Golf building was put up, the sidewalk was changed and the parking was removed. Well, the same thing has happened across the street at the upcomding Dave & Buster’s.